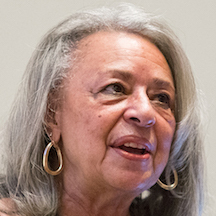 The University of Virginia has renamed its medical research building to honor Dr. Vivian Pinn. Dr. Pinn was the only woman in the 1967 graduating class at the University of Virginia School of Medicine. The newly named Pinn Hall is being renovated. After graduating from the School of Medicine, Dr. Pinn served on the faculty at Tufts Medical School and the College of Medicine at Howard University in Washington, D.C. In 1991, Dr. Pinn was named the inaugural director of the Office for Research on Women’s Health at the National Institutes of Health. She served in that role for 20 years. Dr. Pinn is also a past president of the National Medical Association. Today, she is senior scientist emerita at the Fogarty International Center of the National Institutes of Health. In 2005, Dr. Pinn was the first African American woman to give the commencement address at the University of Virginia.